***THE BIKE SPECIALISTS*** WE ARE CURRENTLY LOOKING TO PURCHASE LOW MILEAGE DUCATI"S. PLEASE CALL US FOR THE BEST PRICE GIVEN IN THE UK BY FAR. ONLY THE TOP PRICES WILL BE PAID, YOU WILL EXPERIENCE THE BEST SERVICE OFFERED BY ANY COMPANY HERE IN THE UK. 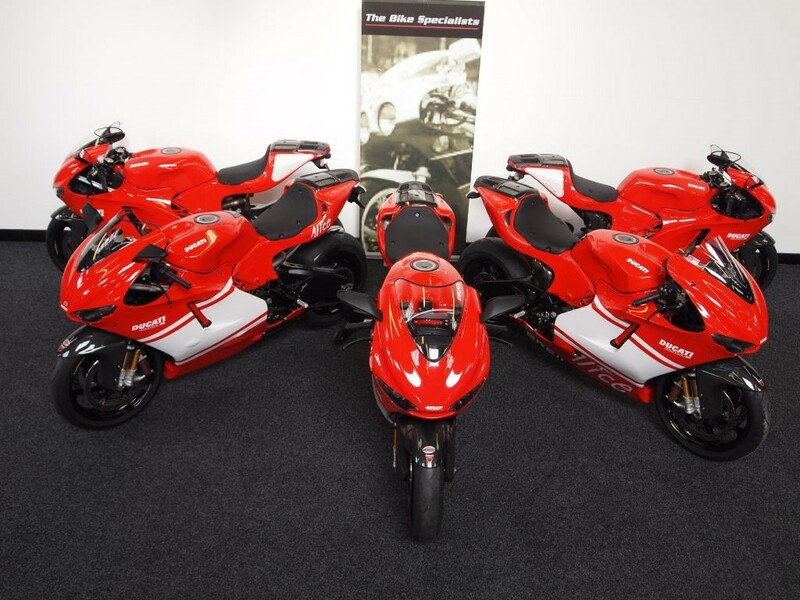 WE WILL COLLECT FROM YOUR DOORSTEP AT A TIME SUITABLE FOR YOU ENSURING A SMOOTH TRANSITION FROM THE SALE OF YOUR DUCATI..... PLEASE CALL AND SPEAK TO OUR BIKE SPECIALIST NOW.